Is Skydiving Safer Than Driving? The United States Parachute Association (of which WNY Skydiving is a proud member!) is the governing body for our sport. 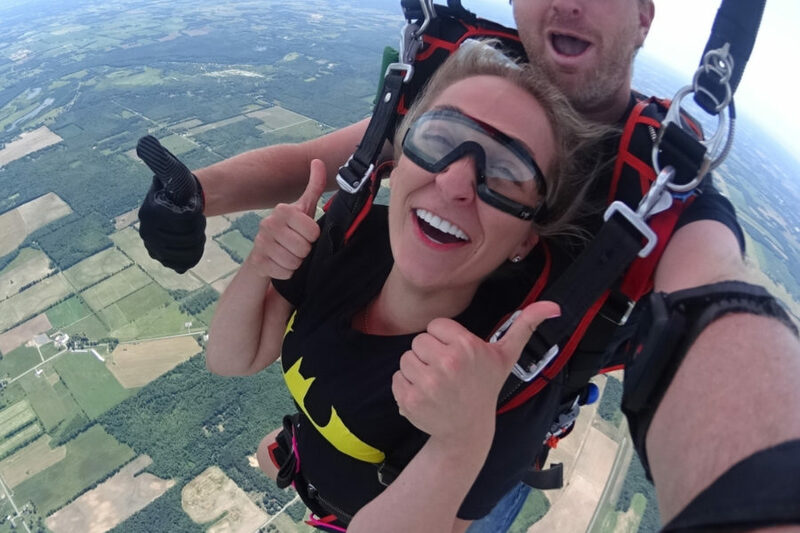 As such, the organization has been collecting statistics on skydiving safety since the sport’s early days, in an attempt to understand the risks. Those statistics stand as excellent proof that that skydiving is not only safer than most “extreme” activities, it’s definitely safer than risky “normal” activities (like driving), and it’s actually getting safer every year. Most people in the first world spend a lot of time in cars. Most of us were driven home from the hospital as a newborn and basically haven’t left the car since. And we’ve generally held drivers’ licenses since age 16. Being in a car is 100% normal. The risks are part of the emotional furniture. Logically speaking, they shouldn’t be. Driving remains the number-one cause of death for Americans, across age groups, socioeconomic categories, and ethnic lines. Driving cars has been – and continues to be – the single most dangerous activity we perform on any given day. Whether you’re driving or jumping or sitting at home eating donuts — one simple, universal fact is the same: Living a risk-free life is not possible. We all know someone who seems bent on removing every last risk from his/her life or the lives of his/her children, and it looks bonkers from an outside perspective. Right? Because striving to take the risks out of life at the expense of the experiences that enrich it means that you’re bound to stifle the reasons that said life is worth living in the first place. The key to living deeply, widely and well is to take measured, calculated, intelligent, life-affirming risks. In that vein, tandem skydiving with a reputable dropzone is just the ticket. 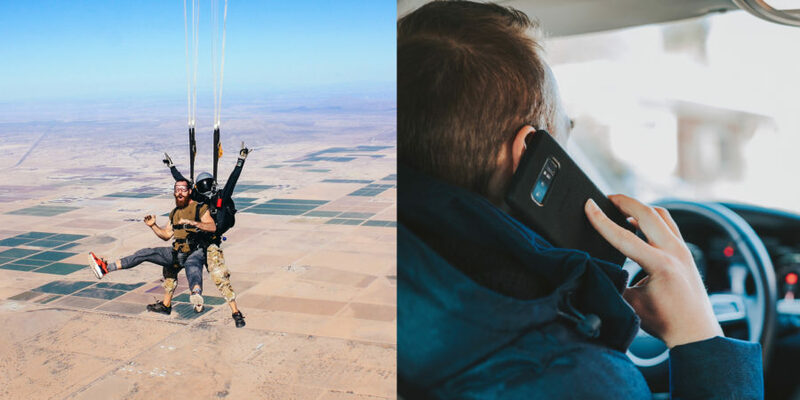 If you have any questions — about skydiving safety, or anything else — we’re here to answer them. Don’t be shy – call us today! How Safe is Tandem Skydiving?